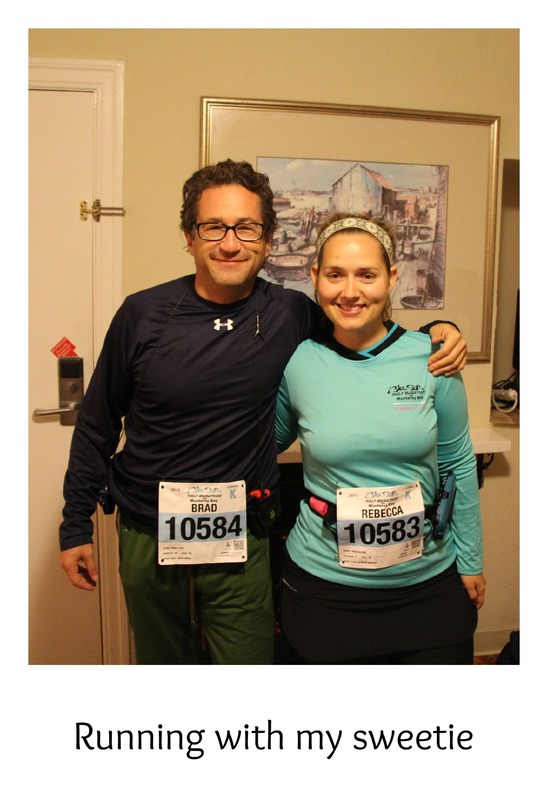 Last weekend Brad and I embarked on what I like to call a little runcation. It goes like this. We run a race in another place as an excuse to go on vacation. Or maybe we go on vacation as an excuse to run a race. Either way, it’s a combo deal. Remember the first entry of this blog? Well, actually you probably don’t. It was a while ago! What I said in that post was that the whole reason this blog exists is because I initially wanted to write a running/travel blog. After a glorious 6 mile run through the hills of Petaluma, CA, I had an epiphany that the best way to discover a new land was to run through it. Breathe it in deeply. Feel your feet on the ground. Behold the sights all around you and not through the glass of a car window. Let the air of the new adventure mingle with your sweat and become a part of you. It’s a deep way of taking in a new environment that approaches a spiritual level for me. So the reason I decided against a running/travel blog specifically was that I’m broke as a joke, and don’t get to travel very often. In other words, I would have something to write about approximately once or twice a year. Not ideal. 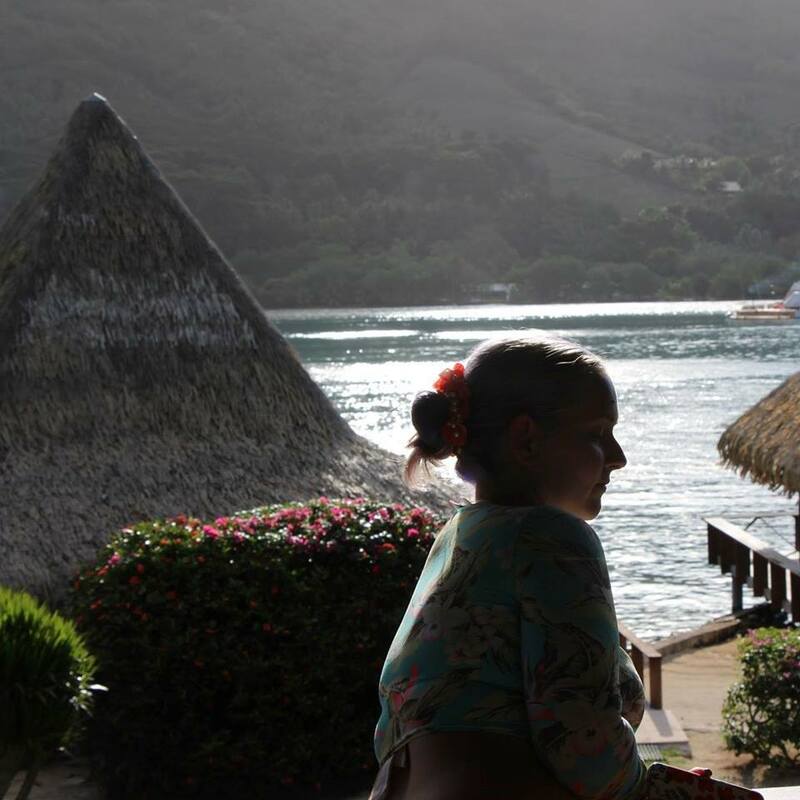 So the idea morphed into Running to Tahiti instead, but I never lost sight of that experience, and that belief that the best way to investigate a new locale is to run through it. Last weekend was all about proving that point. I grew up in Northern California and no matter how long I live in L.A., I’m a NorCal girl at heart. On the weekends we would take day trips east or west, to the mountains or to the sea. My favorite direction was always west. 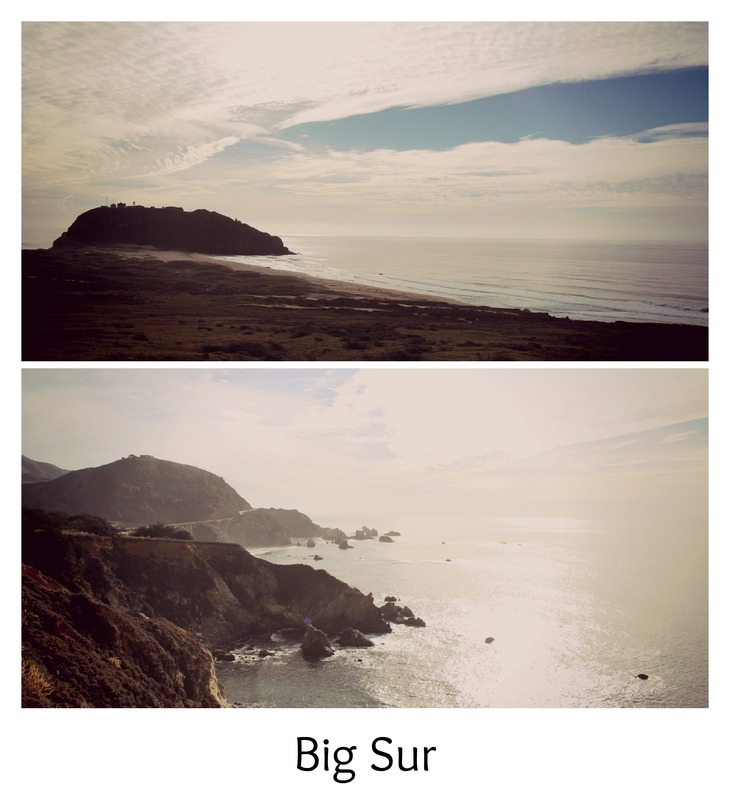 Judging from the cross-section of the world I’ve seen so far, the beauty of the Northern California and Central California coasts is unsurpassed. Last weekend Brad and I met Mom and Dennis in lovely and preternaturally quaint Carmel-by-the-Sea. 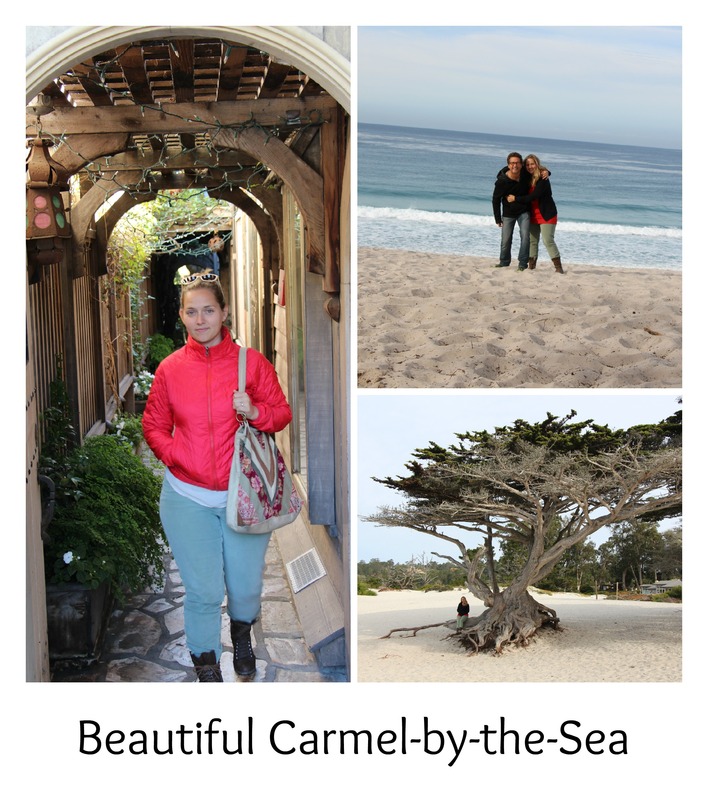 We walked the white sandy beaches of Carmel, eggnog lattes in hand. How special to visit the spot where Dennis popped the question just this January? We got there at a low tide and strolled along the shore taking in the most beautiful sunset I’d seen in a long time. So where was the running in this runcation? I’m getting there. On Sunday morning we ran the Big Sur Half Marathon on Monterey Bay. I’ll be doing a separate race report coming soon, but in a nutshell, it was exquisite! I most certainly developed a deeper love for the crashing of the waves against the rugged rocks. Fisherman’s Wharf in all its charm. The town of Monterey, old and new. Cannery Row. A friendliness in people that can sometimes be hard to come by in a big metropolitan city. The sounds of seals barking. The sun shining despite the nip in the air. A nip in the air! Thank you fall! I missed you! Lighthouses. Hills. Tunnels. The list goes on. It was a great run. We’re sold and have most definitely found ourselves a new tradition. 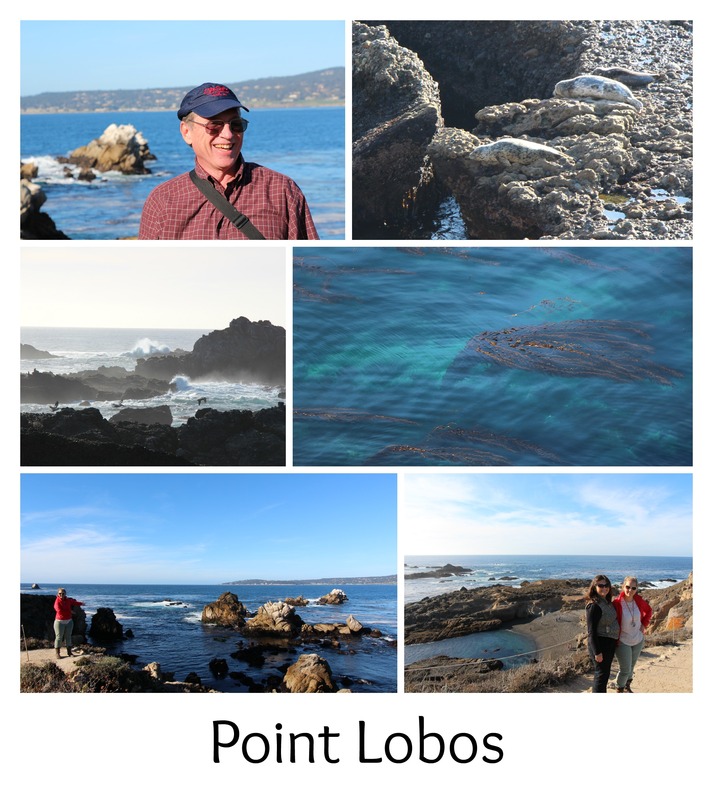 Sunday afternoon we explored Point Lobos (and checked off another locale on the Soarin’ Over California Challenge! ), caught up with good friends who I see far too little, soaked our sore bones in a hot tub, binge-watched Hallmark original Christmas movies in the hotel room. Ok, so the binge-watching was mostly me. But Brad was there too. On Monday we said goodbye to our little Carmel bungalow and headed out for a special treat. Being the fish that he is, I could not wait to take Brad to the Monterey Bay Aquarium. A gem of the central coast. Aquarium of the Pacific in Long Beach is pretty great, but there’s just something magnificent about the Monterey exhibit and I have always wanted to share it with Brad. Maybe it’s because they have sea otters. 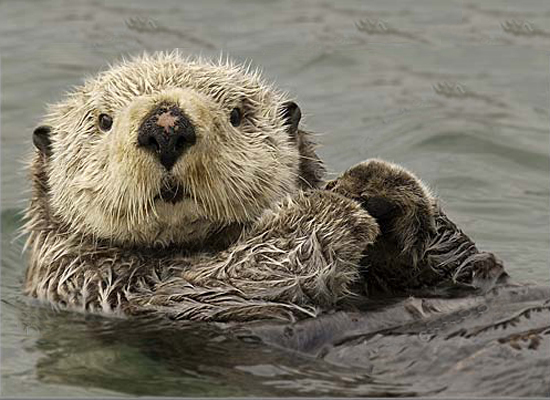 What is cuter than a sea otter? I mean really. They are like teddy bears of the sea! After a morning exploring the aquarium we began the return trek down south, but the joy was in the journey. 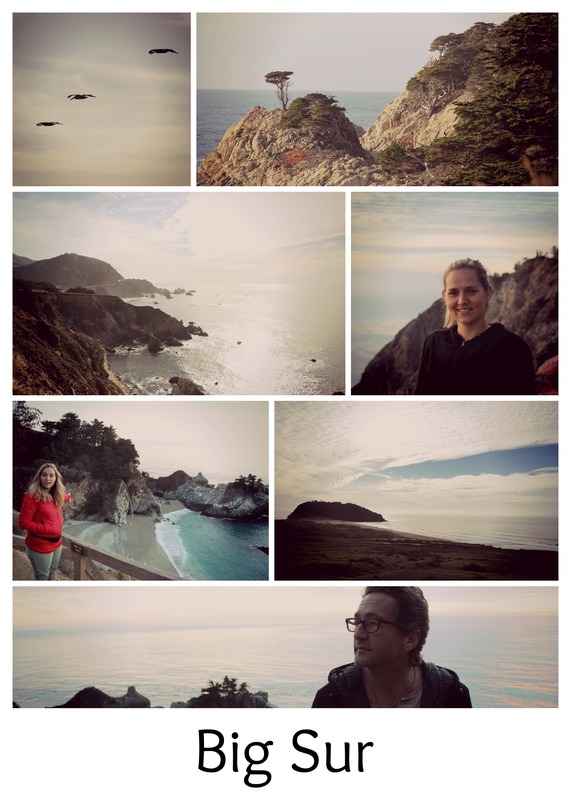 We took the Pacific Coast Highway for most of the trip. 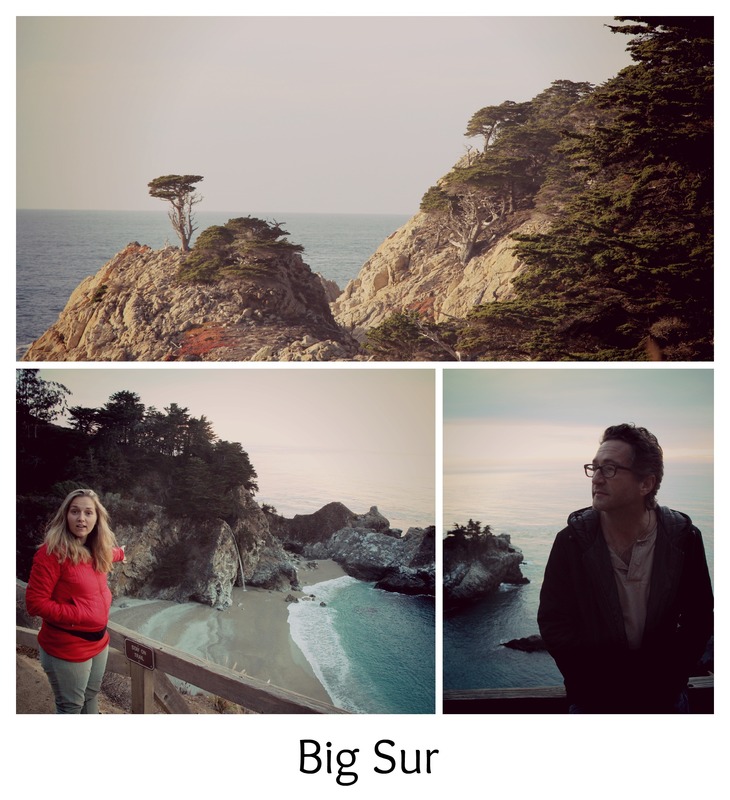 Experiencing the beauty of Big Sur with my love definitely tops out at one of the most magical moments of my life so far. The incredible vistas. The sunset. The awe and breadth of the Pacific ocean. The redwoods. The sky. The cliffs. The woozy feeling in my stomach as we hug those curves of the PCH. Bixby Bridge. The waterfall pouring out right onto the sand. The turquoise water. Pfeiffer Beach. Magic purple sand. The Dr. Seuss-inspired cypress trees. The feeling of being truly remote. The feeling of being on the edge of the earth. 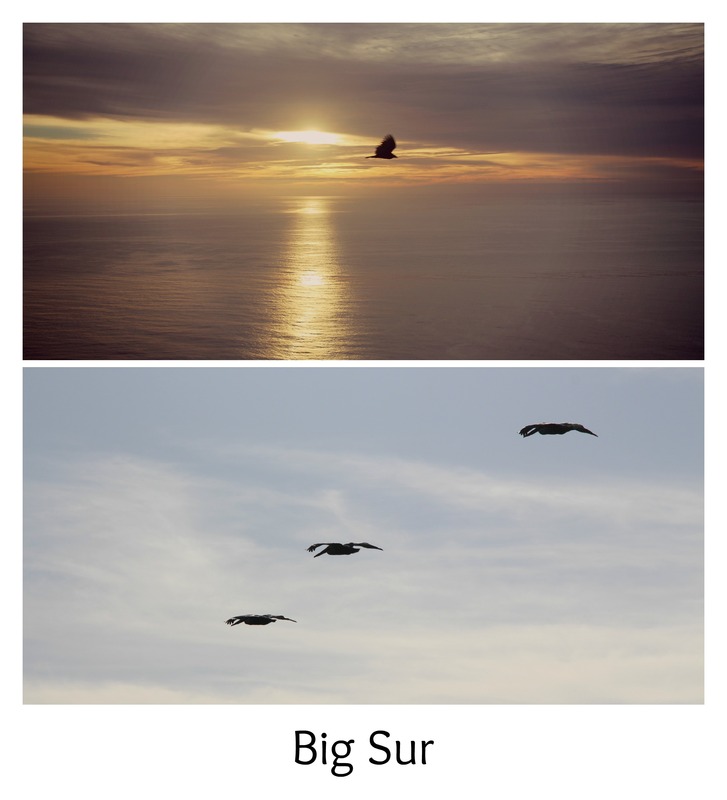 Earlier in the weekend as we explored Point Lobos my mom made a rather brilliant observation. She said that the earth was like a wonderful experiment, God’s experiment, and we had to keep the experiment going. To respect it. This weekend I felt that. We owe it to the universe to not interfere and sabotage this brilliant experiment. So, for days 15, 16, and 17, I’m thankful for ALL of that. It’s almost too overwhelming to have so much to be thankful for in just one weekend. Man. I needed that.